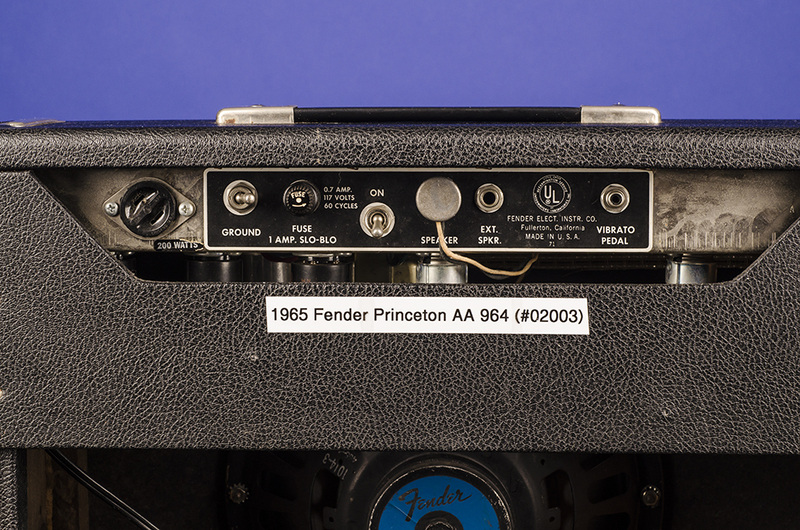 Princeton AA 964 Amplifiers | Fretted Americana Inc.
An exceptionally fine June 1965 "black-face" black tolex "Princeton AA 964". This wonderful little amp will give you that perfect mid-sixties "clean" tone that everyone wants… It weighs just 24 lbs, boasts 12 watts and has one Oxford 10J4 ten-inch speaker. 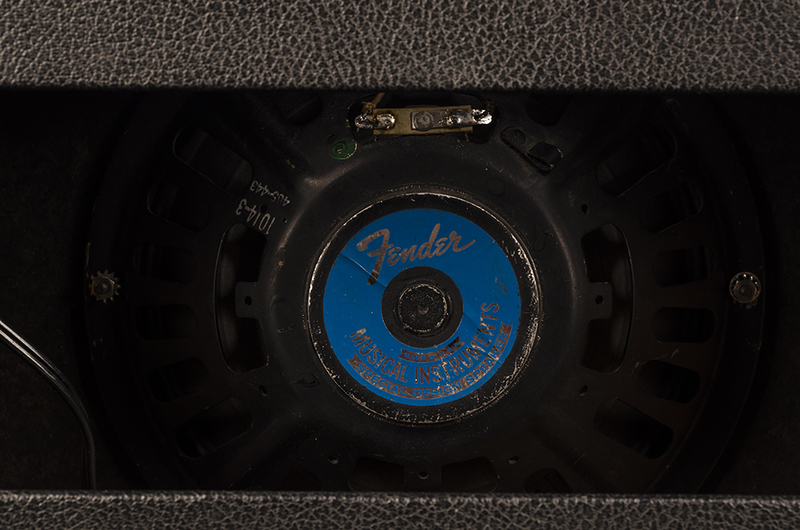 Black Tolex body, with silver sparkle Grill cloth. 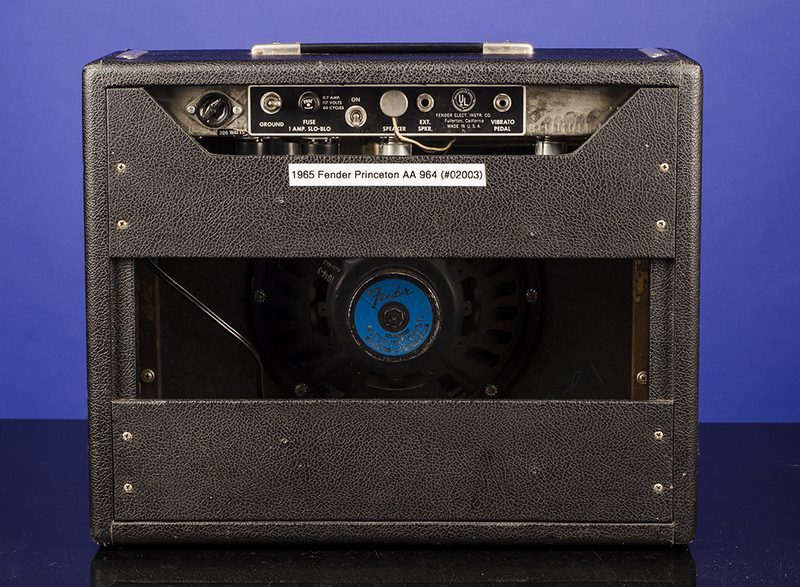 The cabinet measures 20 x 16 1/2 x 9 1/2 (down to 7 1/2) inches. 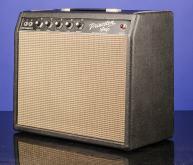 We have had the amplifier serviced and the original speaker expertly re-coned. 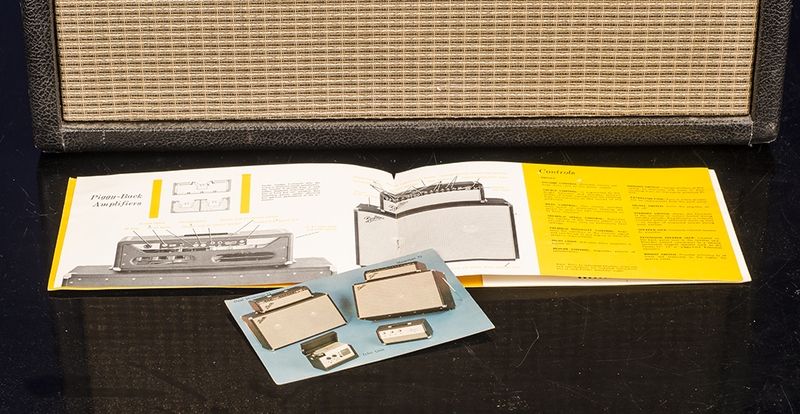 An exceptionally fine example - complete with the original instruction manual, warranty, and schematic diagram. 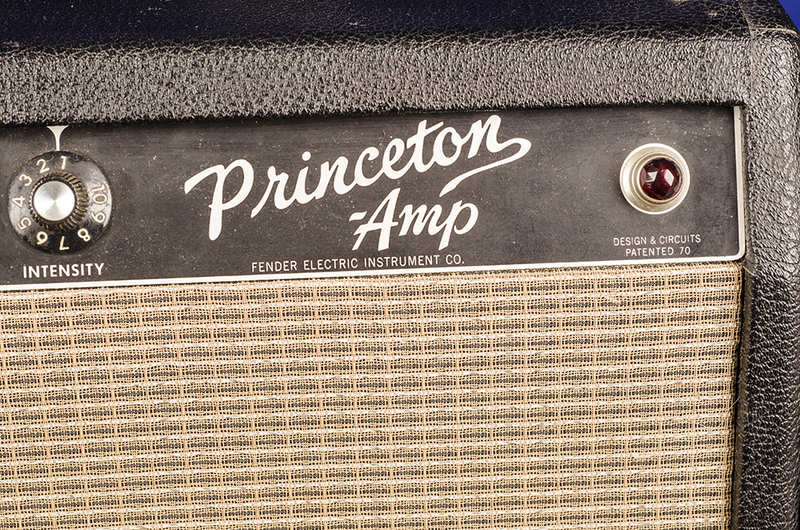 Second in popularity only to the Deluxe, the 12 watt Princeton was an affordable step up from the Champ and Vibro Champ amps. 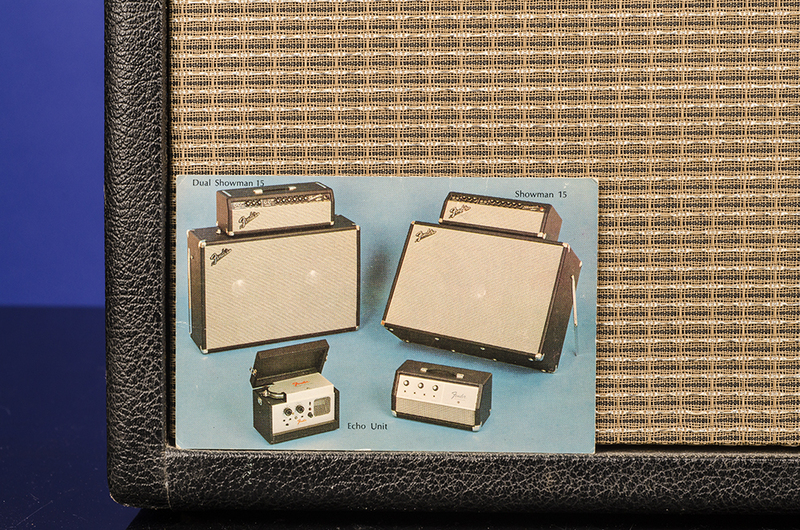 In 1968, CBS engineers began to alter the coveted "blackface" circuits of the larger amps, but the Princeton remained untouched until late 1970. 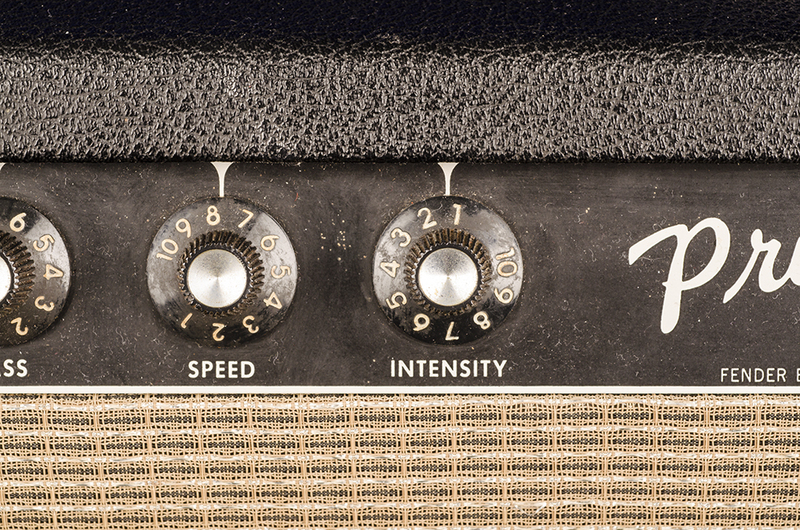 Interestingly, all Fender amps with tremolo are marked "Vibrato" on the control panel. 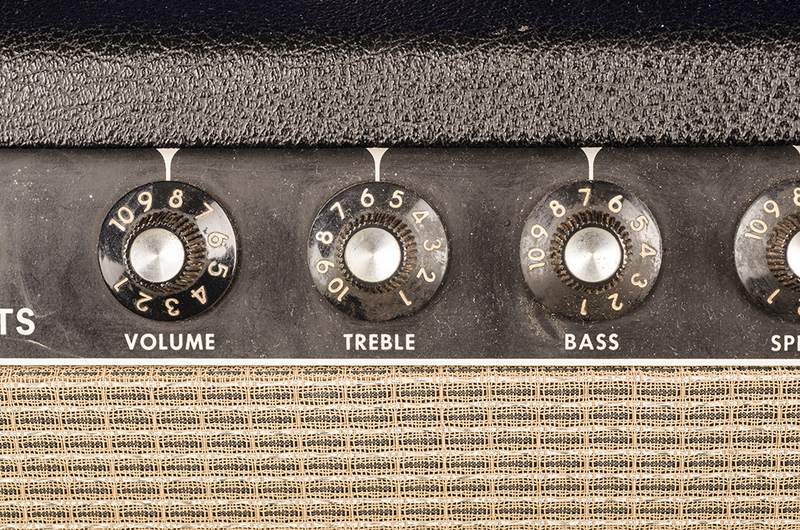 This is a misnomer since the effect produced by the amp is tremolo (volume modulation) and not true vibrato (pitch modulation). 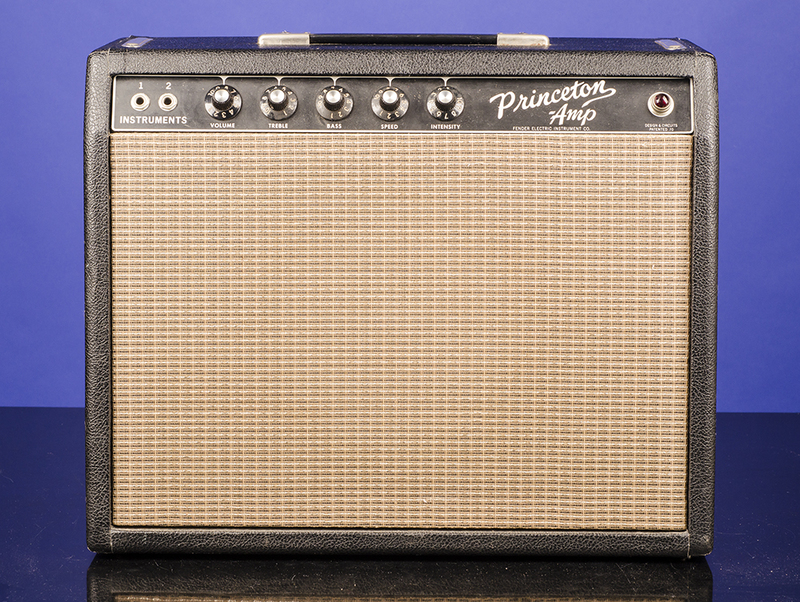 Unlike it's "blackface" siblings, the Princeton did not use the LDR type tremolo which grounded signal to produce tremolo. 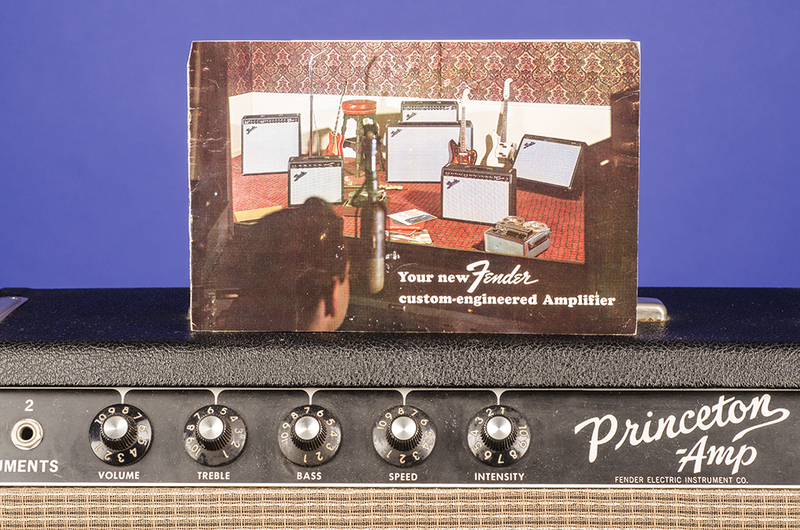 Instead, the Princeton used power tube bias modulated tremolo which produces a more pleasing effect. 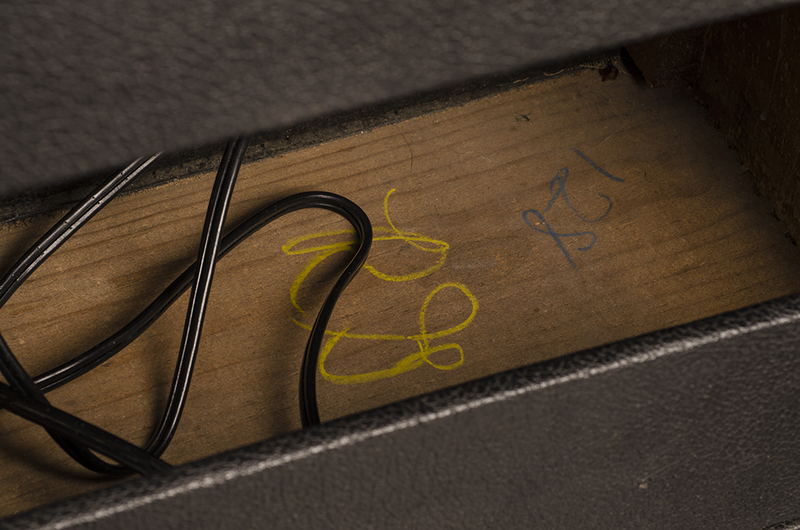 Inside of cabinet base stamped "SA2465" & "2F 2365"